prior to 1-22-14, please NOTE that a correction for sizing was made. PRIOR to printing, cutting and attempting to piece the design. through the Silhouette America online store. c. templates for this 12"x12" block that have 1/4" seam allowances added. Use accurate 1/4" seam allowances throughout. Transfer and use alignment markings to keep patchwork straight. Step 1. Cut the patches you will need for one 12"x12" block. 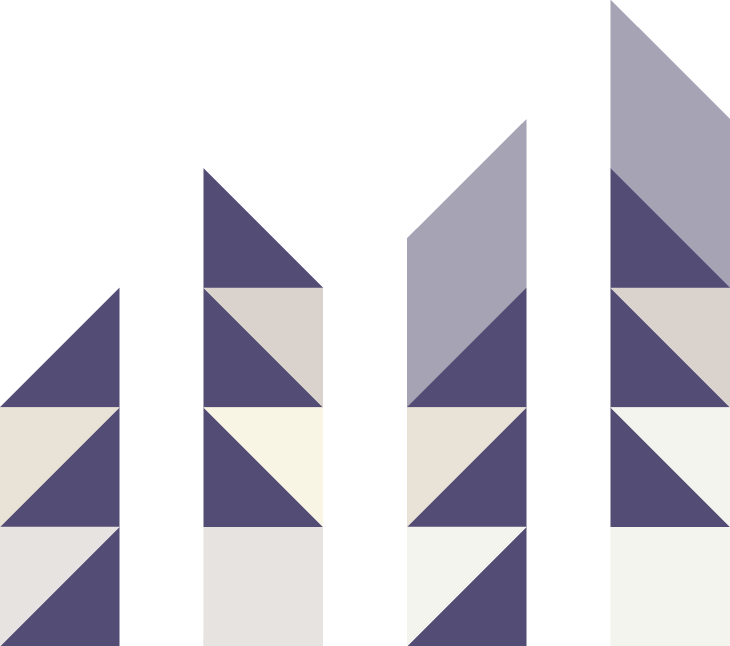 Colors listed will correspond to this color sample arrangement, with the "background" shapes as darker value, and a scrappy appearance. Step 2. Transfer the location "dots" from the A, B & C printed template shapes to the corresponding patch backsides for positioning assistance. Step 3. Build the sawtooth "stacks" using E, F & G patches. 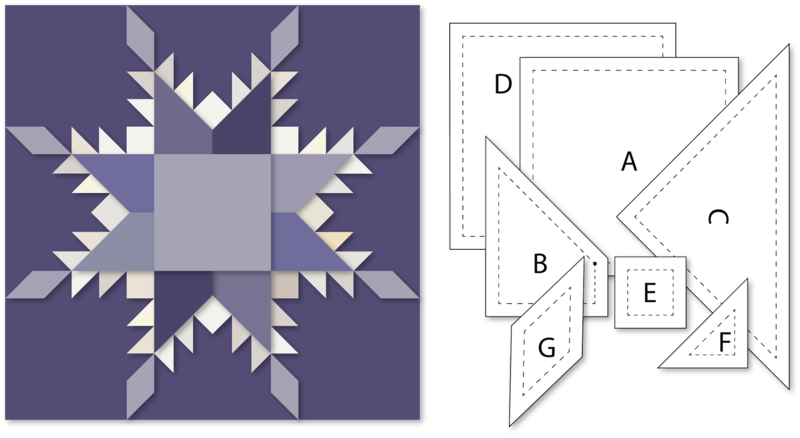 For machine paper foundation piecers, MPF diagrams in pdf format for printing are available for these "stacks" by emailing a request to Jodi at hearthsewnpatterns(at)yahoo(dot)com . Step 4. Align the "simple" stacks, short then long to the appropriate edges of C triangle, pinning the seamline crossing point at the marked dot for each. As you stitch the seams for each stack, end the stitching about half way across the end triangle edge. (This seam will be completed near the end of the block construction.) Press seams toward C after each is stitched. Step 5. 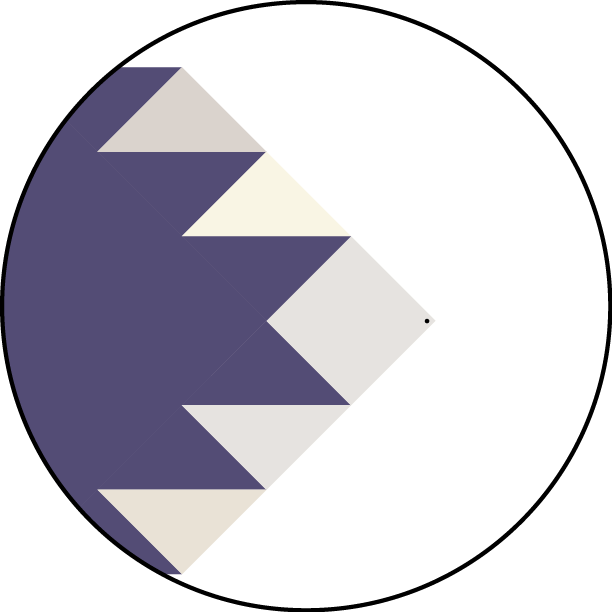 Join the short diamond stack (bottom of this illustration) to the appropriate edge of D square, and the long stack as shown in sequence, using the guidemark to align the diamond-to-F patches. Press seams toward D after each seam is stitched. Step 6. Mark a dot on the backside of each E corner at 1/4" seamline intersections. Step 7. 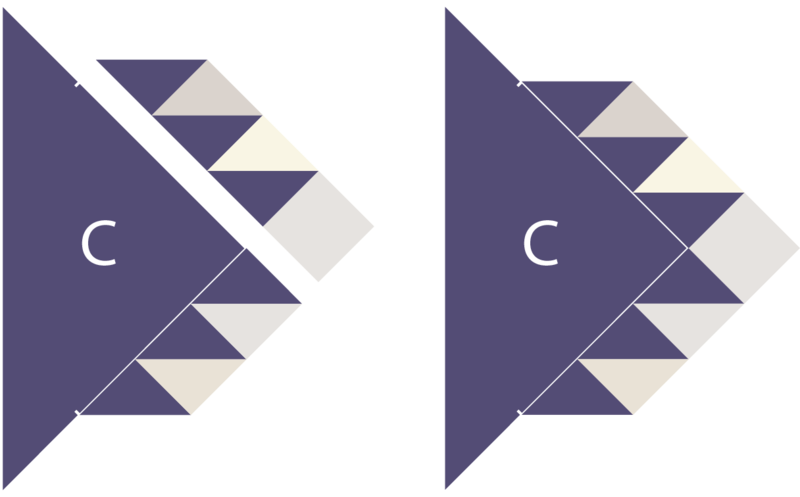 Join a double B unit at the corner of each C unit as shown. Pin to match corner seamline dots, then stitch one patch edge to the dot, stopping and locking the seam as for an inset seam. Align and pin the other patch edge and stitch; press seams toward the center. Step 8. 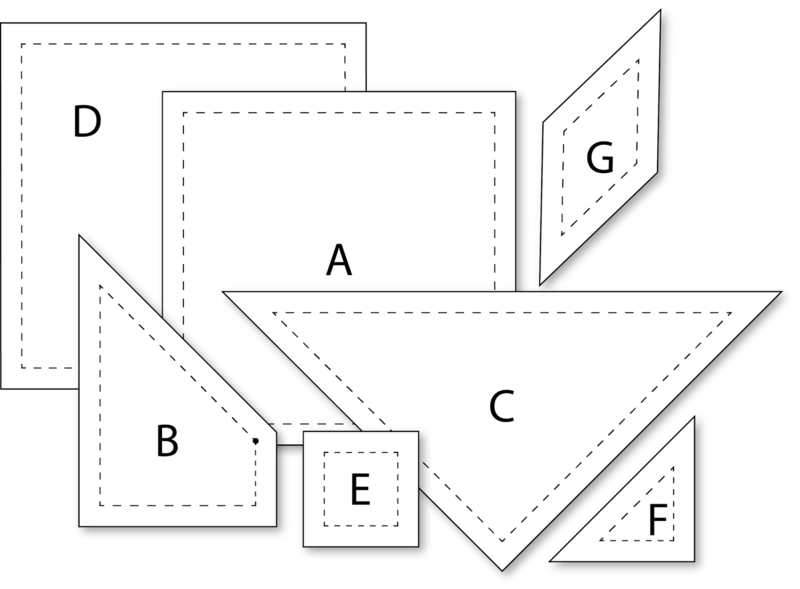 Assemble the center block section by joining A square between two C sections. Press seams toward center. Step 9. 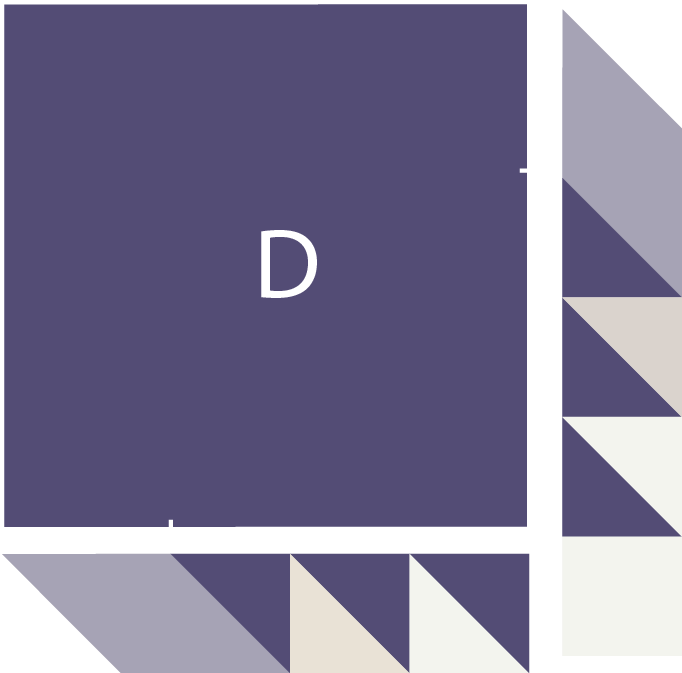 Assemble a top and a bottom section of block by joining one C section between two D sections as shown; press seams toward center. 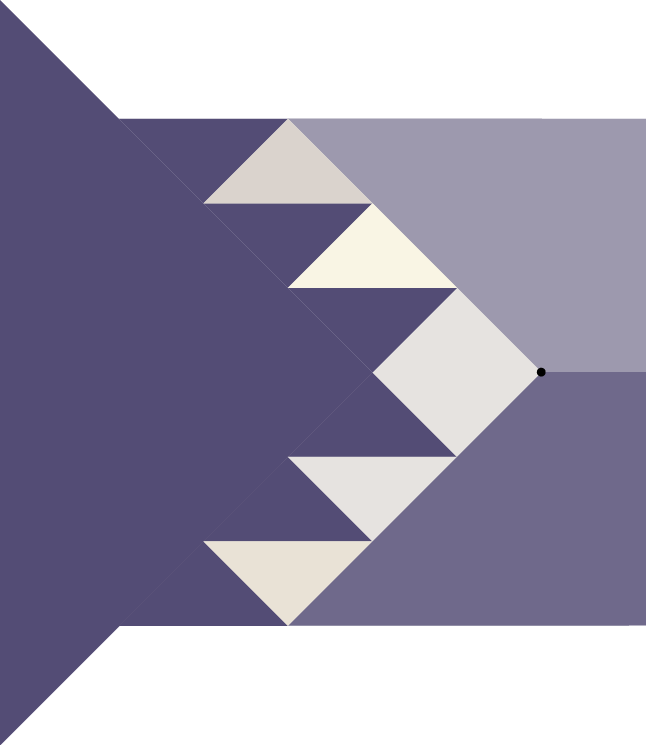 NOTE that the C corners at unstitched portion of the seams should be held out of the way to align and join the seam edges (at the diamond tips area). Press seams toward center. Step 10. 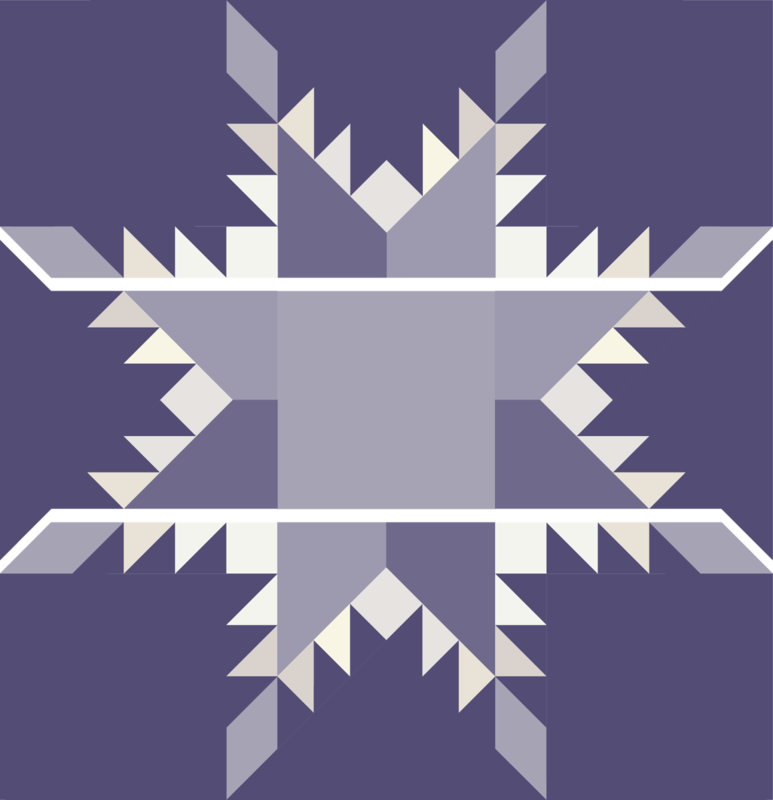 Join the center section (from Step 8) between the top and bottom sections (from Step 9). Hold the unstitched portions of the seams out of the way in the same manner as for Step 9. Press seams toward center. Step 11. Reposition each unstitched portion of C triangle tip so that corner crossing seamline point aligns at diamond point crossing seamline point. Stitch the remaining portions of the seam at all eight area where this is needed. 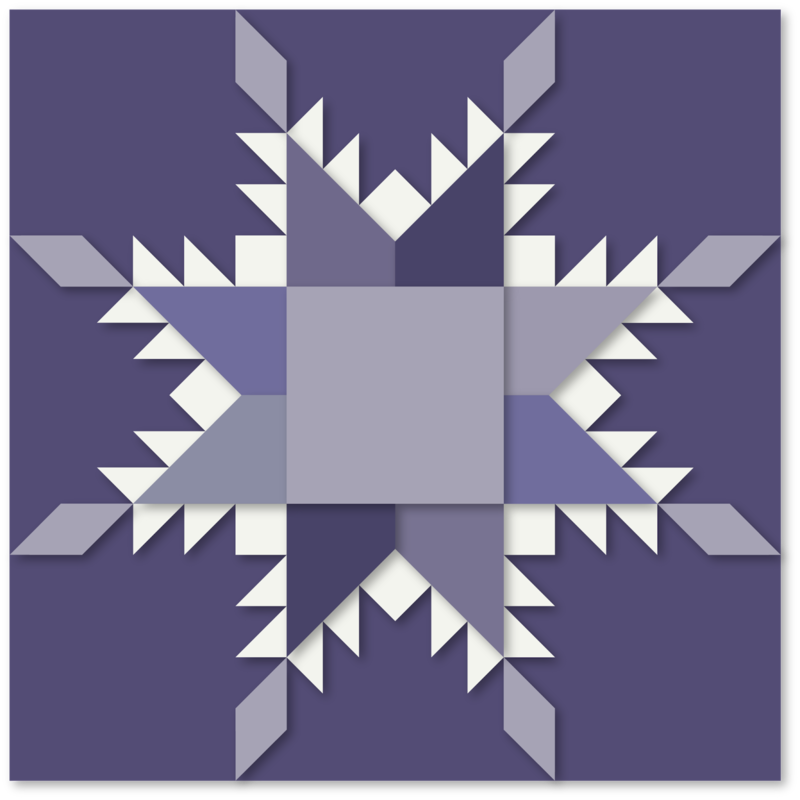 January On the Docket Kit Chart - Quilts, Etc.